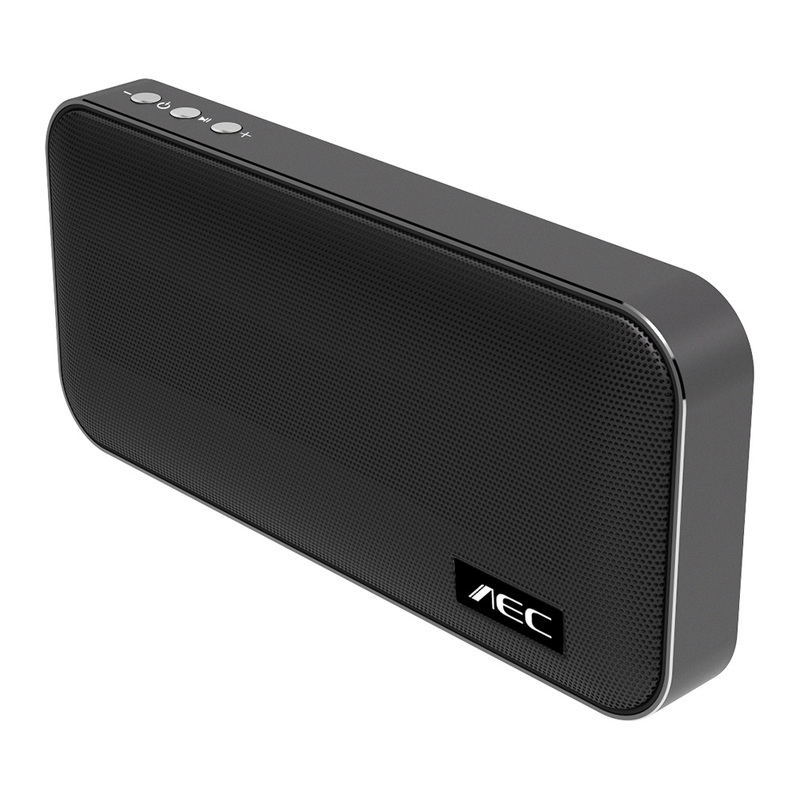 Bluetooth speaker combines speaker and power bank to meet all your needs. 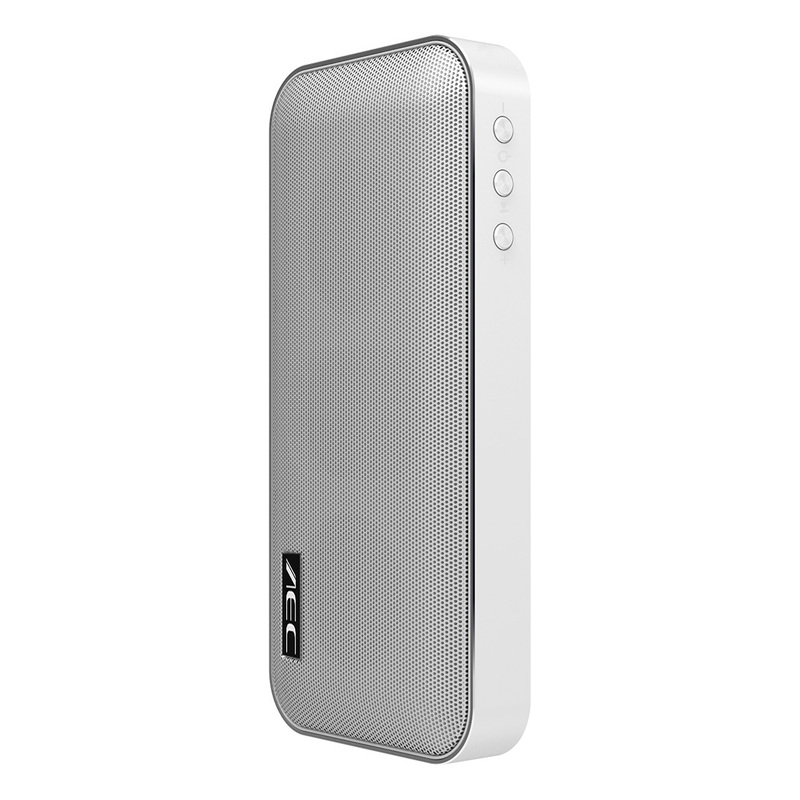 As a speaker, high definition dual track with 10W big louderspeaker brings you vigorous bass and loud high-pitched music. 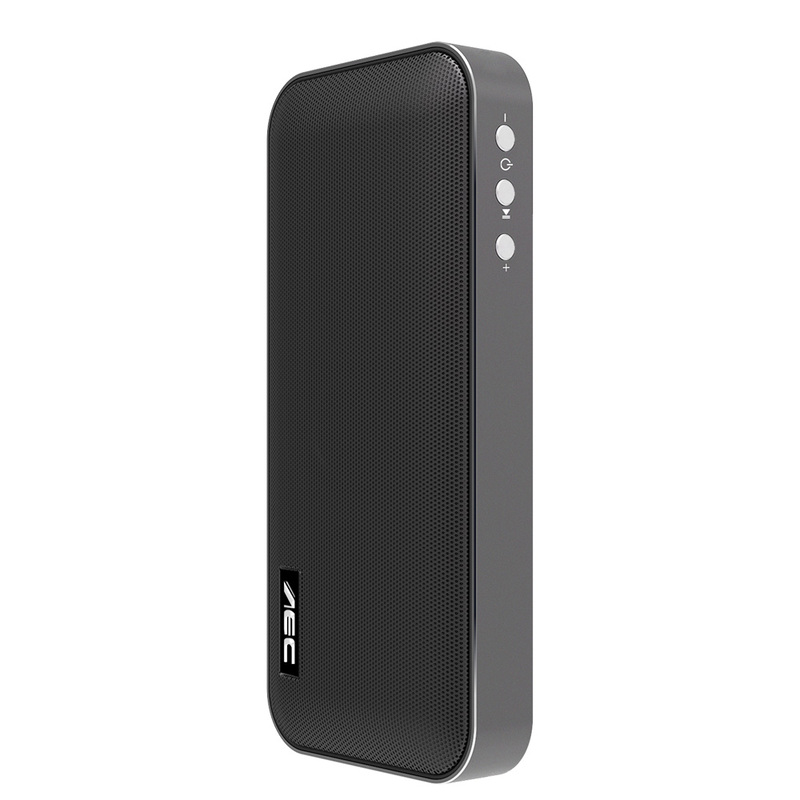 Work as a power bank, it can supply power for your mobile devices when charging needed. 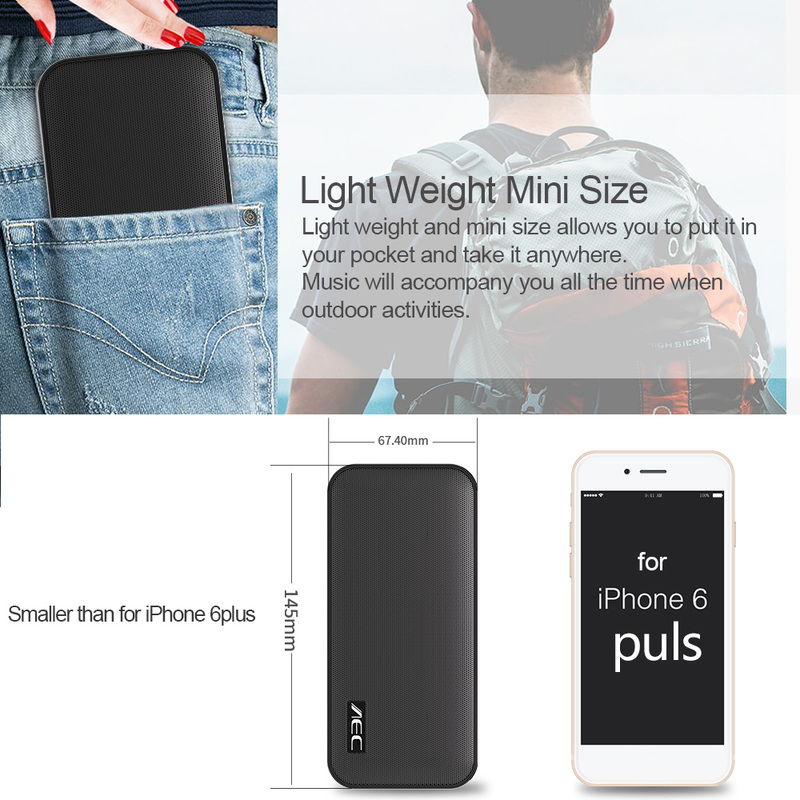 Portable size allows you to put in the pocket or take it outside. 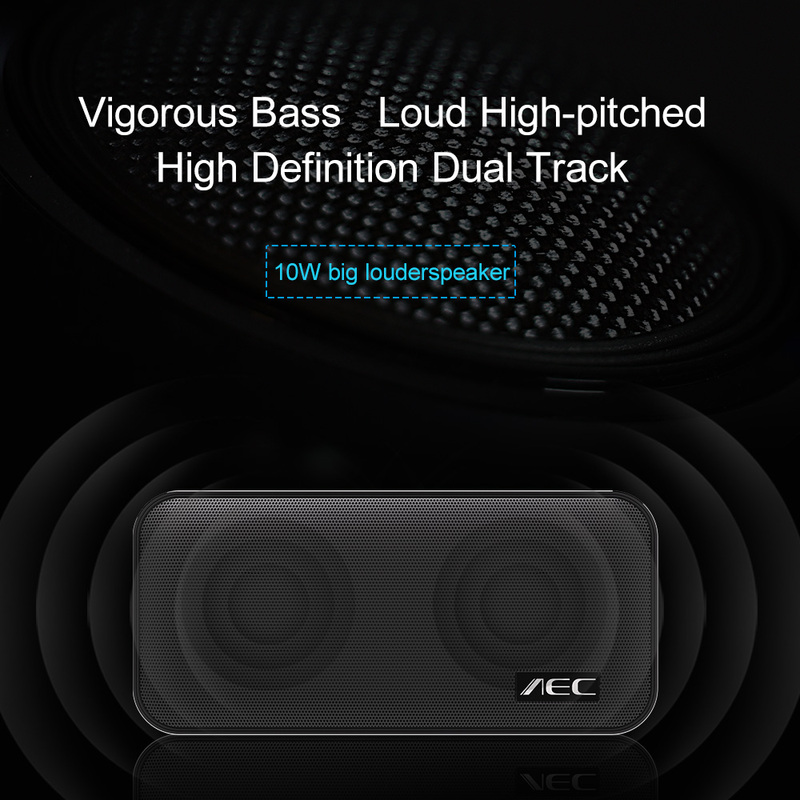 High definition dual track with 10W big louderspeaker brings you vigorous bass and loud high-pitched music. 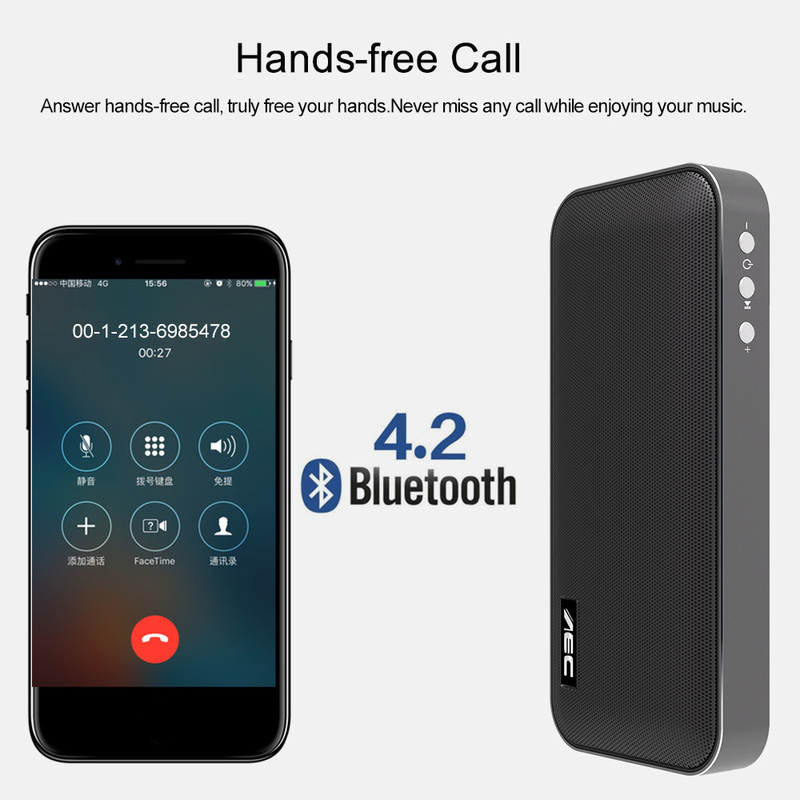 Answering hands-free call with one button. 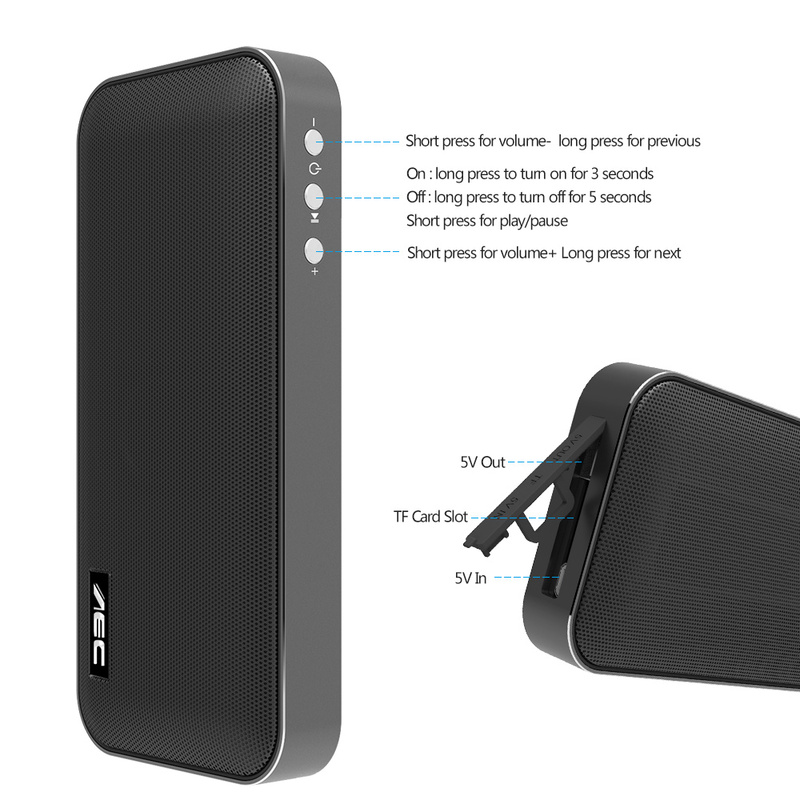 Never miss any call while enjoying your music. 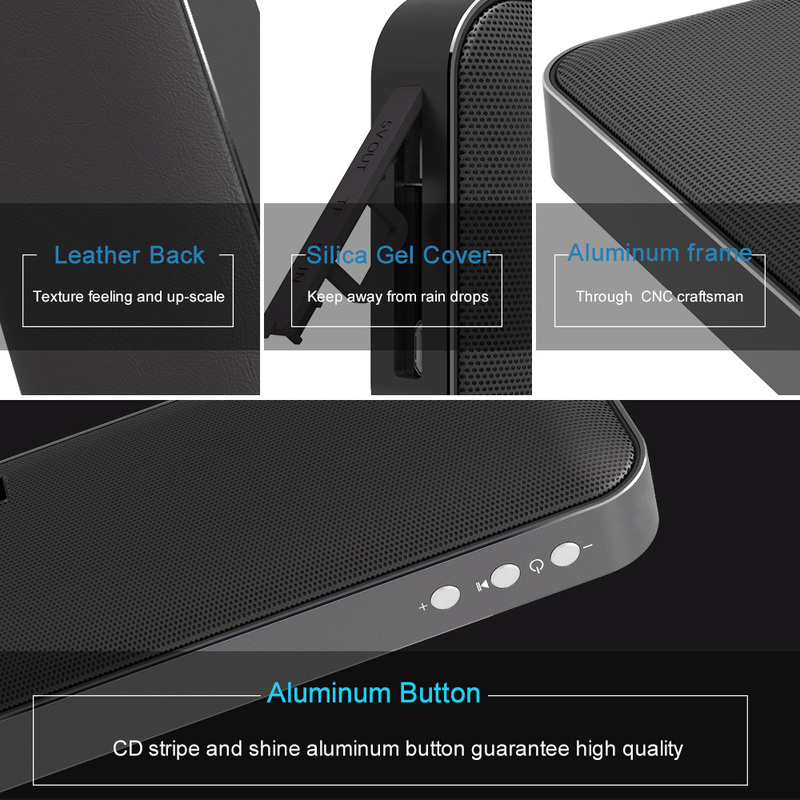 Through CNC craftsman process, leather back, silica gel cover, aluminum frame and aluminum button manifest its up-scale appearance. 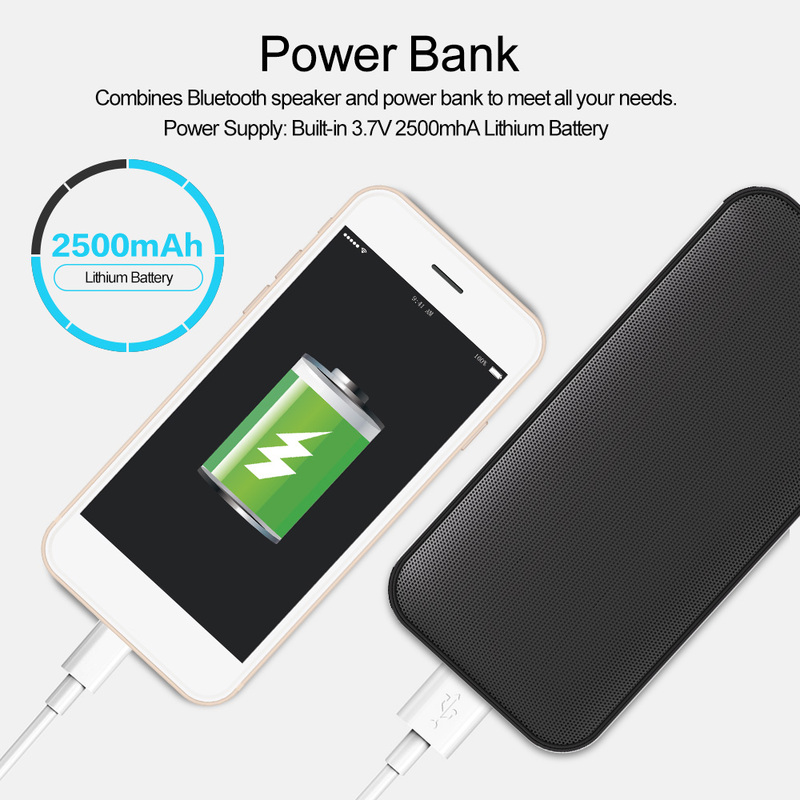 It combines Bluetooth speaker and power bank to meet all your needs. 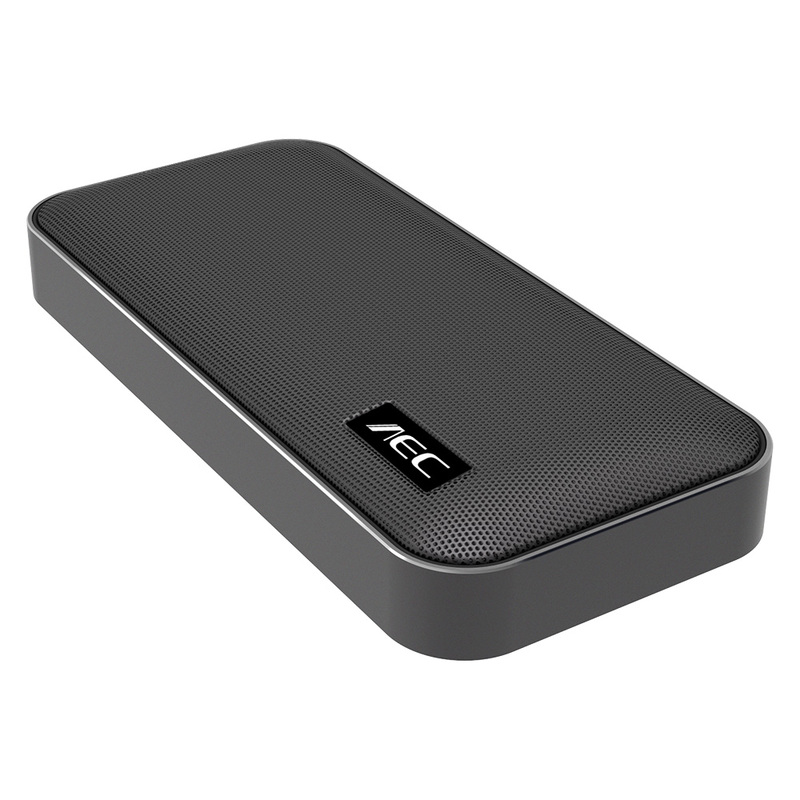 It can supply power for your mobile devices when charging needed. 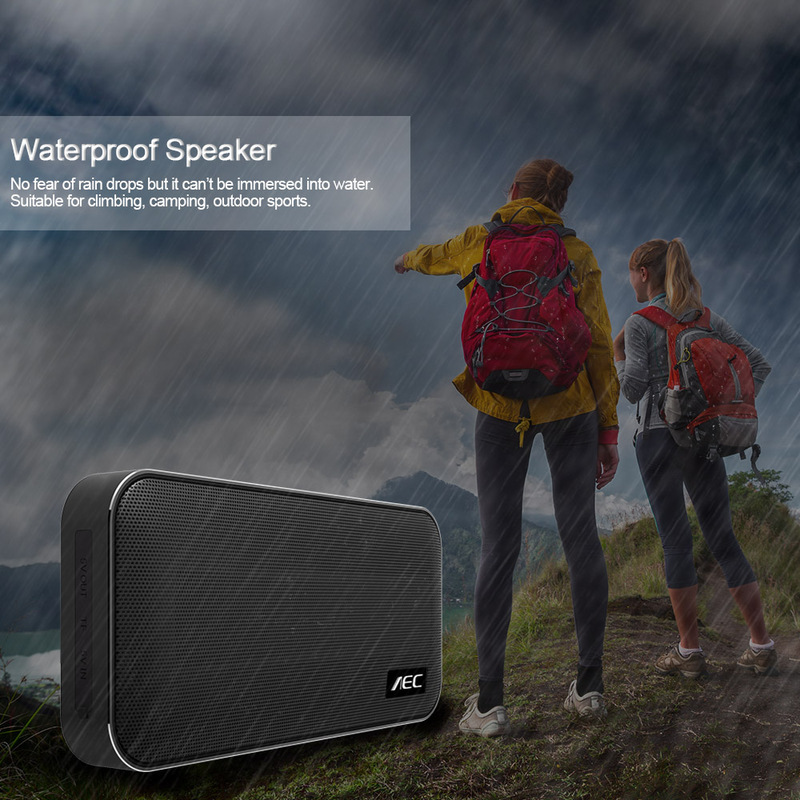 No fear of rain drops but it can’t be immersed into water which is perfectly suitable for climbing, camping, outdoor sports. 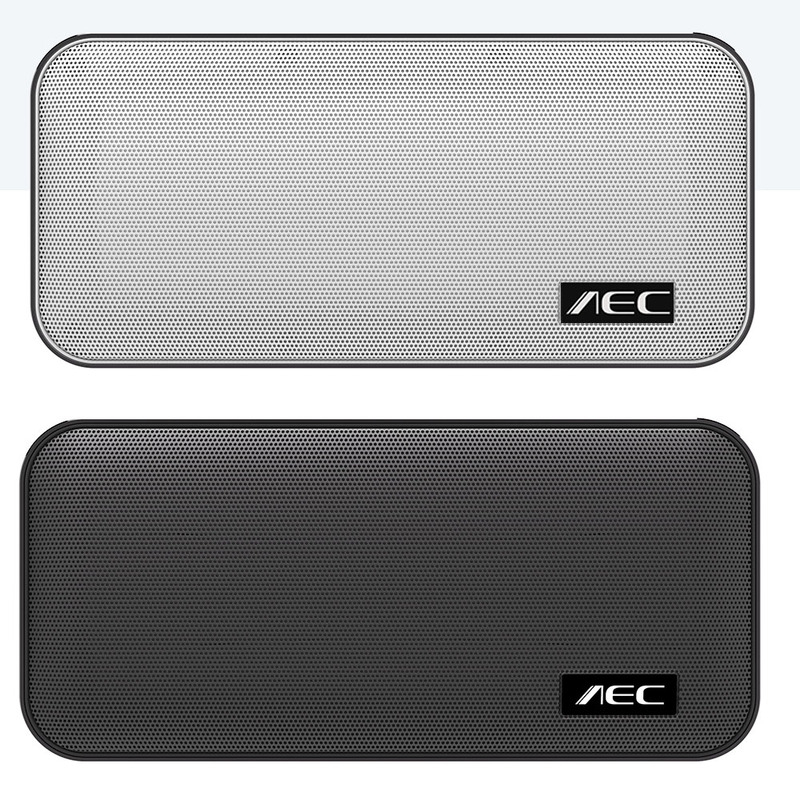 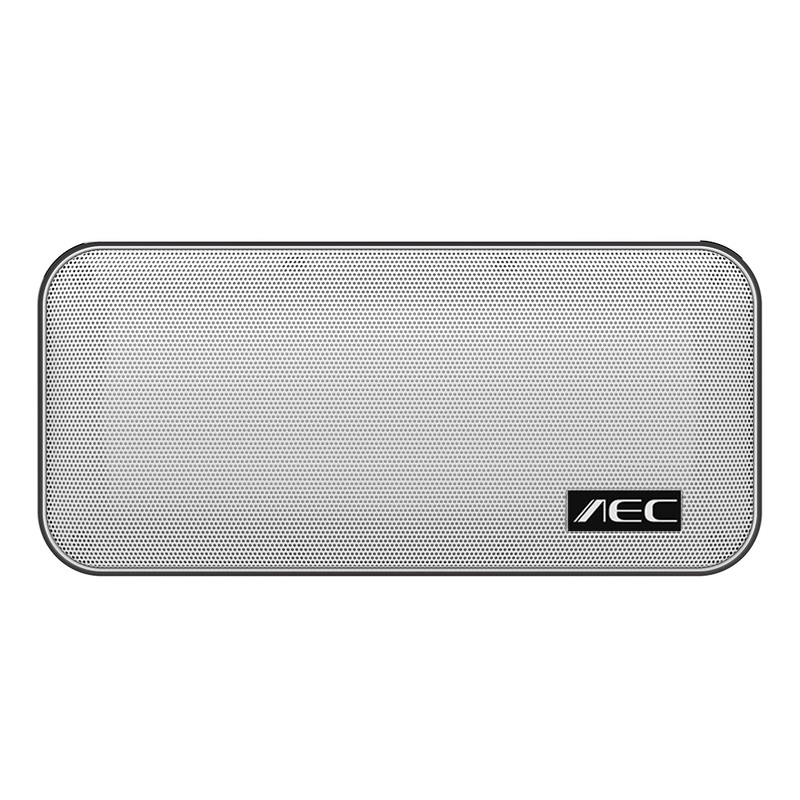 AEC205 speaker is smaller than for iPhone 6plus and can be put in your pocket and take it anywhere. 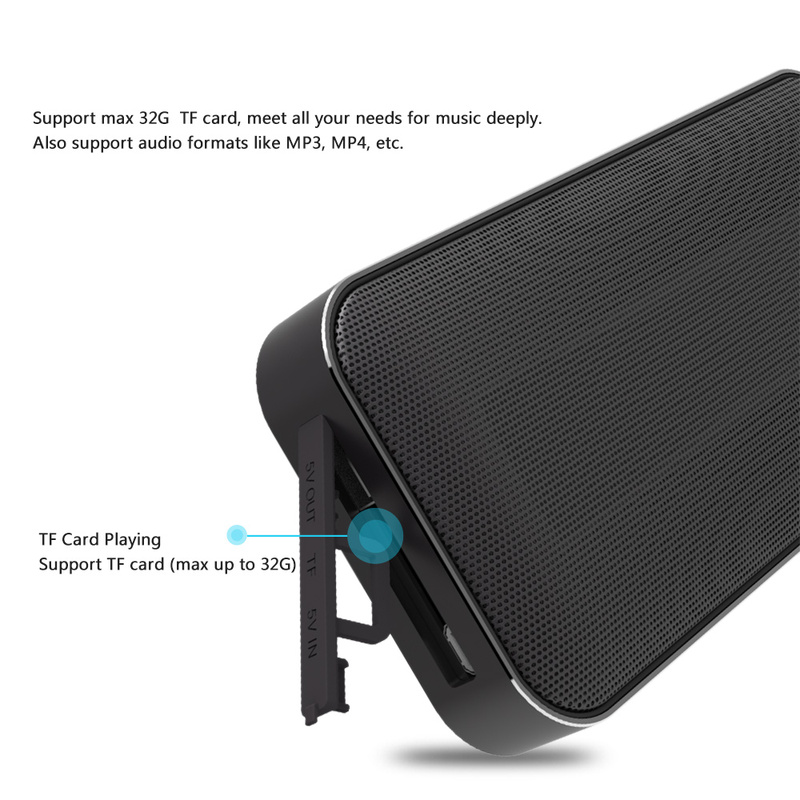 TF Card supports max storage up to 32G.